It’s great to be able to share with you what certain fitness classes are really like – but to get a real insight into what classes are really like then you kind of have to be there. So, of course I’ve sorted that for you too. I’ve started recording my way through the more interesting classes I’ve been to with my Go Pro and added them to my new YouTube channel . Now if you’re not familiar with a Go Pro camera its sort of a mix between a digital camera and a video recorder. Small enough to hold and attach to yourself – sports people use them regularly to capture their point of view when they’re doing things like skiing and surfing. The first two videos I’ve shot are a yoga class and also a trampoline based class. 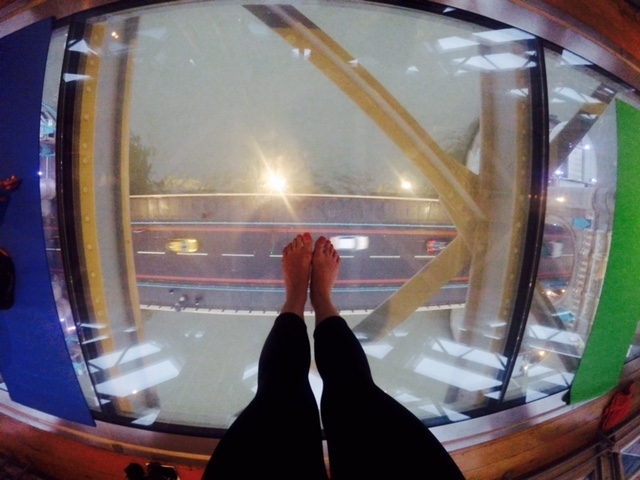 Some of you may remember that I trialed a yoga class with a difference at the beginning of the year – Yoga on the glass floor of Tower Bridge. The classes are now back monthly and I got to try it out again a few weeks ago, with my Go Pro attached. Not only do you get to see what sort of yoga you’ll be doing in the class but also the sort of views you’ll be experiencing when you do it! You can view my Tower Bridge Yoga Vlog here. 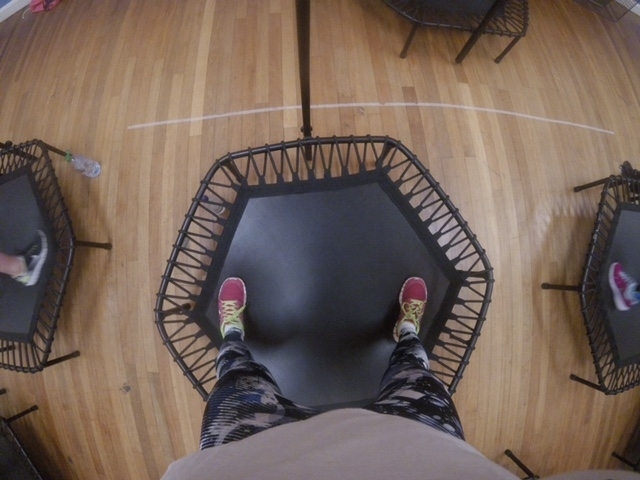 The second class I’ve videoed is Jumping Julia – which uses mini trampolines to bounce on while they do aerobic moves. Think back to the energetic Jane Fonda workouts they used to do in the 80’s and you’ll be spot on. This video was amazingly fun to film (it’s not every day you get to jump up and down like a lunatic) and the class left me absolutely knackered, but I felt amazing afterwards! Watch my Jumping Julia video here to see how fun it really is. I’ll be updating my vlog every week with more videos of classes and also workouts with personal trainers, so make sure you subscribe to my channel and keep up to date with what’s going on in the fitness world. You can also keep up to date with my daily fitness routines on my instagram. Click here for more info on Tower Bridge yoga or here for more info on Jumping Julia. Happy sweating!